Although I have the greatest respect for Dr. Marc Lamont Hill, Columbia University professor, published scholar, and Fox News contributor, I have to respond to his most recent article, “I Hate Drake. There. I Said It” (http://www.theloop21.com/society/i-hate-drake-there-i-said-it). I am such a fan of Dr. Hill. 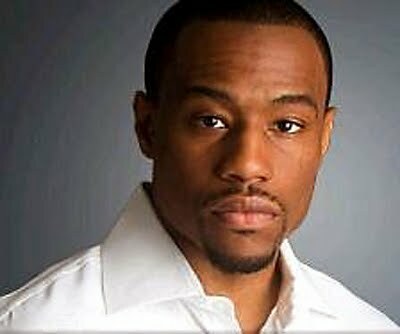 I have read his academic publications, follow his writings on his website (www.marclamonthill.com), have permanently linked his website on my blog, and I follow him on Facebook and Twitter. I posit that Dr. Hill is one the brightest minds and great public intellectuals of our time. Having said all of this, I am quite unsettled and unnerved by his comment that he “hates” Drake. The purpose of this article is to express my problems with Dr. Hill’s promulgation of his “hate” for Drake, and to respond to his problems with some of the current artists on the hip-hop scene. First of all, the word “hate” is a powerful word to direct at a person. Dr. Hill is a scholar and social justice activist who fights against past and postmodern “hate” and discrimination in his work inside and outside of the academy. Mahatma Gandhi once said, “We who seek justice will have to do justice to others.” While I certainly support and embrace Gandhi’s statement, Dr. Hill’s recent comments about Drake do not reflect that he supports and embraces this statement in its totality. He has to understand that his investment in elucidating and illuminating the value of hip-hop is significantly undermined when he uses such language to attack one of the leading hip-hop artists, Drake. Marc makes me wonder if he has a problem with the reality that Drake is half Canadian and the fact that he is one of the most prominent faces on the current hip-hop scene. Although Dr. Hill argues that this is not the case, the fact that he does not give his reader a strong understanding as to why he “hates” Drake makes me really curious (at best). Now, Drake’s music alone cannot cause Marc to legitimately hate Drake. I would love for him to offer his readers a more thorough explanation for why he hates Drake. Dr. Hill tries to make the argument that Drake’s lyrics lack substance. I would like to encourage him to engage in a deeper exploration of the powerful messages communicated by Drake’s “Over” and “Successful.” When you listen to these two songs, Dr. Hill, you cannot honestly say that Drake is just a “pop song writer.” Dr. Hill, even some of the greatest rappers attempted to sing parts of their verses; therefore, Drake should not be penalized because he can sing. If Drake does have a proclivity to resort to the superficial instead of the substantial in his work (as Dr. Hill asserts), then it is more of a reflection of how artists are conforming to the cultural logic of late capitalism and not simply something Drake should be held solely responsible for. Dr. Hill seems to want rappers to be in the mold of Nas. He will not consider a rapper a true MC if he does not reflect the rap tradition of rappers like Nas. I find this to be highly problematic. For hip-hop to be true hip-hop, it does not have to fit Marc’s limited definition of it. It does not have to simply be highly reflective of rappers like Nas. One of the dimensions of hip-hop that people have grown to love is its ability to accommodate new artists and their particular expressions within hip-hop. Hip-hop, at its best, is about tolerance. Drake’s style of hip-hop, which I do not see as departing from traditional hip-hop in any subversive or meaningful way, respects the tradition of hip-hop. Drake is a serious hip-hop lyricist and MC—no matter what Dr. Hill says (no disrespect). Marc said that Drake has a fake Southern-style voice, one that is tailored for corporate interests. Well, Marc, I was born and reared in the South and I certainly do not hear any southern accent in Drake’s sound. I simply need Dr. Hill to be more thorough in his examination of Drake, and to give stronger reasons for his “hate” for Drake. Even when I have disagreed with Marc in the past on issues, I have always understood his arguments and rationales. On this issue, however, Marc has left me (and us) with much to be desired. Compelling piece, i especially like your response to Dr. Hill’s claim that all rappers “have to be like Nas” to be true hip hop. I agree that as time passes it is both futile and ill-informed to cling to “what was” as the standard by which to judge “what is” (italics on WP?). Hip hop will and must change constantly as time progresses so that artists can resonate with newer audiences and have their messages heard by the next generation. While i feel i share Dr. Hill’s nostalgia for hip hop during the 1990’s (I would share what seems to be his belief: that Nas is still the gold standard for an MC with his lyrical prowess and immersive storytelling), without changes to keep it updated with the times we may very well may lose the genre we love so much. I think that Drake’s lyrical abilities are better than many of the modern rap artists that surface, but i may at least partially understand the differences that Dr. Hill is keying into. Drake, being an “understudy” of sorts with Lil’ Wayne for some time, has developed a rapping style that is similar to Wayne’s in that it relies heavily on the overt and implied simile (I’m _____ like ______). This staple of Wayne’s lyrics post-Carter 2 has been adopted by many modern rappers, but none more than Drizzy Drake himself. While the style is simple and makes for great radio hits (it requires not much more than basic pop-culture knowledge to understand), it is an area that i think Drake will need to improve on if he wants to be a truly great MC. Hip Hop is not solely about who has the larger lexicon (hehe), a great MC uses his vocal rhythm (flow), voice pitch, and storytelling ability among other things to communicate his message in an exciting, melodically pleasing, and thought-provoking way. It is no easy task, and I do not think that it is fair for one to criticize a rapper for having not attained Nas’ lyrical ability, especially an artist who has not even released his first album yet! Drake undoubtedly has a lot of promise as an MC, and his various other talents will allow him to enjoy a large amount of success even before his rapping abilities have fully matured. To “hate” an artist for their inability to conform to a standard that would likely not even bring them commercial success in this day and age seems silly. If you don’t like Drake’s music, then it wasn’t made for you, and the same logic applies to ANY new music. I applaud Drake for once again keeping the media spotlight on the hip-hop genre, and I look forward to listening to his releases and hearing him grow as an artist. Great post Antonio! Awesome response, Scoots! My view of Dr. Hill’s nostalgia is it is a nostalgia for the present. There are rappers in our contemporary period rapping like Nas. Even though Drake borrows some aspects from Lil Wayne (which I have no quarrels with), he offers things that Wayne does not offer and Drake’s music feels much different. I love Nas as a rapper. He is a great lyricist and tells compelling narratives. I just want Dr. Hill and others to give Drake a space to do his particular thing. Regardless of how Dr. Hill feels, Drake is already taking that space–with or without the support of his “haters.” Thanks for reading and your kind and great words!